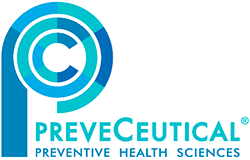 PreveCeutical Medical Inc. (CSE: PREV) (OTCQB: PRVCF) (FSE: 18H) is a Vancouver-based health sciences company dedicated to research and development of innovative, organic and Nature Identical™ options for preventive and curative therapies for a wide array of devastating medical conditions. Developing what the company believes will be the first U.S. Food and Drug Administration-approved cannabidiol (CBD)-soluble gel product to deliver the therapeutic benefits of CBD directly to the central nervous system (CNS) is a top priority for PreveCeutical Chief Researcher Officer Dr. Harry Parekh, who is based at the University of Queensland, Australia, School of Pharmacy (http://ibn.fm/kBmsw). Breaking through the blood-brain barrier, which functions as the last line of defense for the body’s most vital organ, is a prime research target, as noted in a May 2017 article published by The Pharmaceutical Journal (http://ibn.fm/ZvSM5). Delivering life-saving drugs directly to the brain to treat complex brain disorders such as Alzheimer’s, Parkinson’s, epilepsy and depression in a safe and effective manner continues to be a major topic of discussion and compelling research around the world (http://ibn.fm/oUmS3). The need for a solution, a way to present a medication directly where it will do the most good with the fewest side effects, is a key driver for Dr. Parekh and his research collaborators as they continue their work on cannabinoids, formulating them into Sol-gels for further testing. The legal cannabis market, which includes CBD-based therapy, is projected to reach $24 billion by 2025, according to a report published in Hemp Business Journal (http://ibn.fm/hF6uk), with an overwhelming number of those surveyed stating that CBD therapy was being used for depression or pain. An analysis by Stratistics MRC also shows that the global pain management, drugs and devices market is expected to reach $61.52 billion by 2023 as the population ages and improving health care technologies and alternative therapies attract more attention (http://ibn.fm/Qf1P2). This entry was posted in PreveCeutical Medical Inc. PRVCF on February 22, 2018 by QualityStocks.